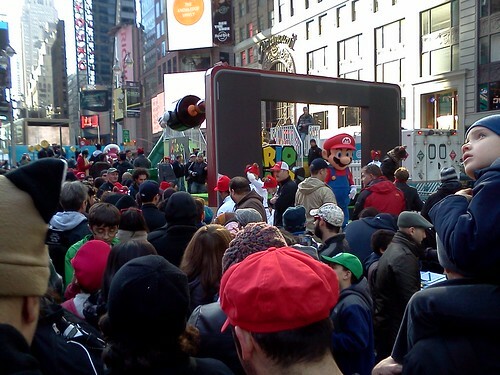 Last weekend, just in time for the release of the new “Super Mario 3D Land” game, there was a big launch event at Times Square in New York City. As I live somewhat near the city, JDubs and I decided we HAD to be there. The event was supposed to be from 10 – 4 pm. I had work at 4 pm so we figured we’d leave super early, get there for the start of the festivities and be done by lunchtime. WRONG! Anyway we left for the city at 9 am. I was not a happy camper. Yeah that’s me looking all grumpy. 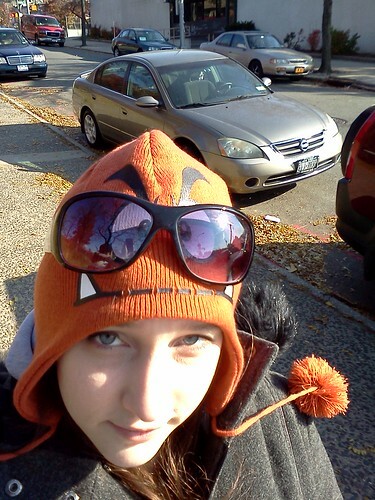 But I put JDub’s sunglasses on my Goomba hat and took a funny picture, so that was good at least lol. 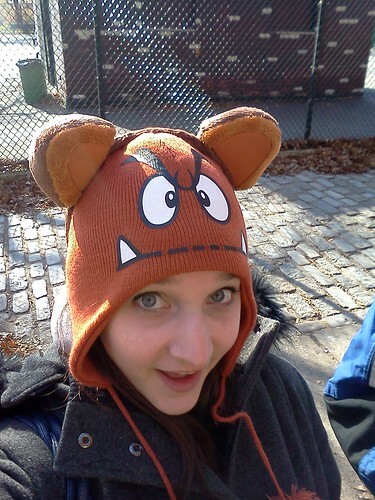 It was a swarm of Mario hats and Tanooki ears! Apparently people had been camping out since like, Thursday night (the event was on a Saturday morning). Other people had gotten there at 8am and had been waiting on line for over two hours. So, it’s not too surprising that people got really pissed at us when we kept trying to jump the line. What’s this line, you might ask. Well it’s kind of hard to see from this picture, but there was a big ‘people sized’ obstacle course full of warp pipes, Goombas and star coins set up for everyone to play on. All participants who went through the obstacle course had to sign a waiver and were given a free Tanooki ears and tail set. Basically everyone wanted the Tanooki suit and were willing to wait hours to get it. Sadly, I didn’t have hours to waste – I had to be back in my neighborhood and ready for work later that day. So all in all, the day was a success. 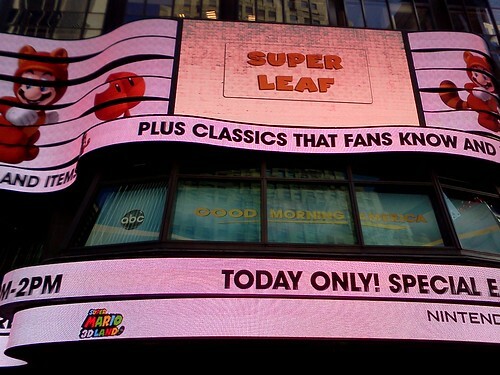 At least I got to see the craziness as people were getting hyped up for this new, awesome game. Oh – I didn’t even mention how fun the actual game is! If you have a 3DS and haven’t picked up this game yet, be sure to put it on your holiday wish list. 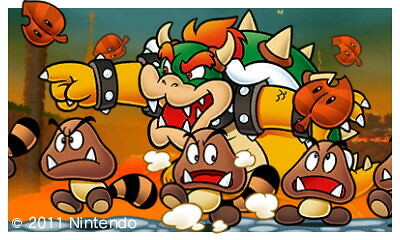 Not only is Mario in 3D, there is a StreetPass function, the game is intellectually challenging, many of the enemies have Tanooki suits in the game as well, and you get to save cute photos to your SD card! Like this one!